Lucy joined emc in August 2017 after 7 years working in Academic and ELT Publishing at Cambridge University Press. 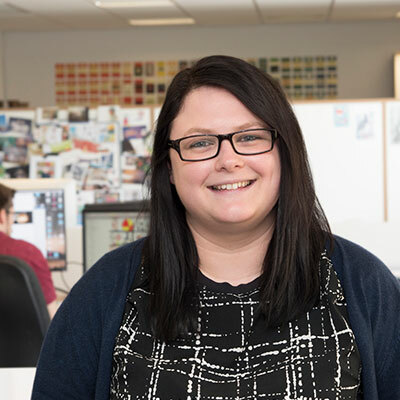 As Publishing Services Manager she is responsible for developing the non-design side of the studio, ensuring that we continue to meet our exacting standards for quality and accuracy, as well as expanding the services we provide for our clients, including artwork commissioning, photo research and project management. Outside of work you’ll probably find Lucy at a comedy or music gig, spending time with her lovely friends and family, or finding any excuse for a visit to the coast.